It has come to my attention that you may have seen Lucidchart’s doggo videos. 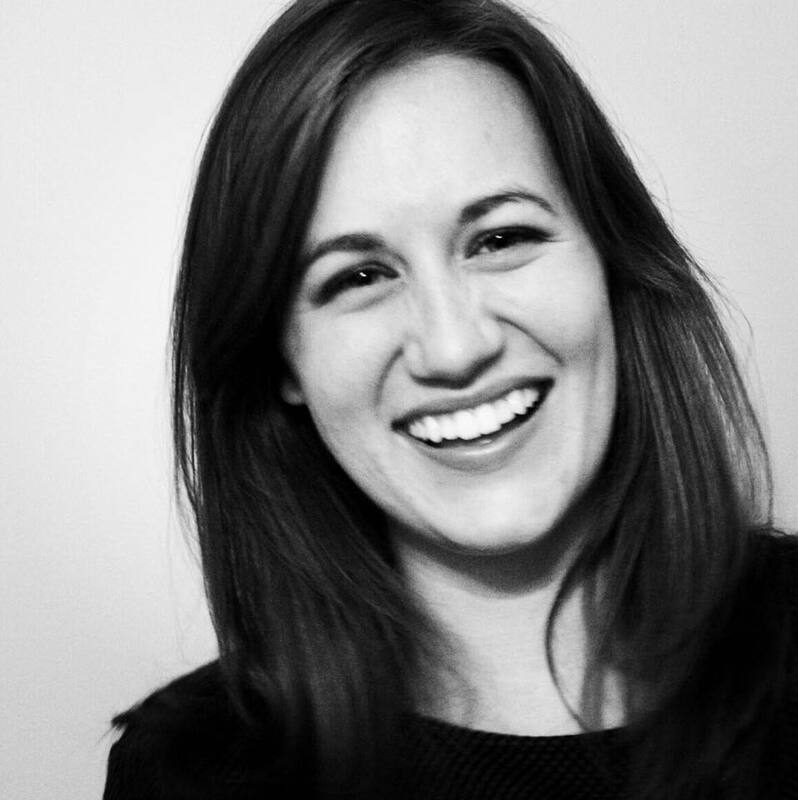 They might have made you feel warm and fuzzy, full of innocent joy. Allow me to suggest that you have NOT experienced true cuteness until you watch Lucidchart’s new catto videos. Full of kittens, cuddles, and nose boops, this video is guaranteed to fill your drab, colorless life with radiating light and happiness. 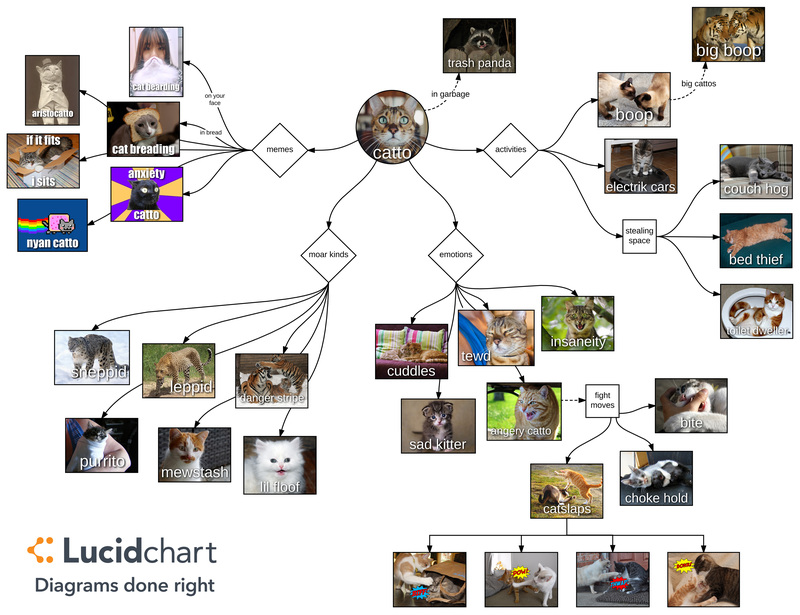 Bask in the glory of the superior domesticated species: watch Lucidchart’s catto videos immediately. My human has refused to write more. I bid you farewell. Need a closer look at all the cattos? Check out the full diagrams below. 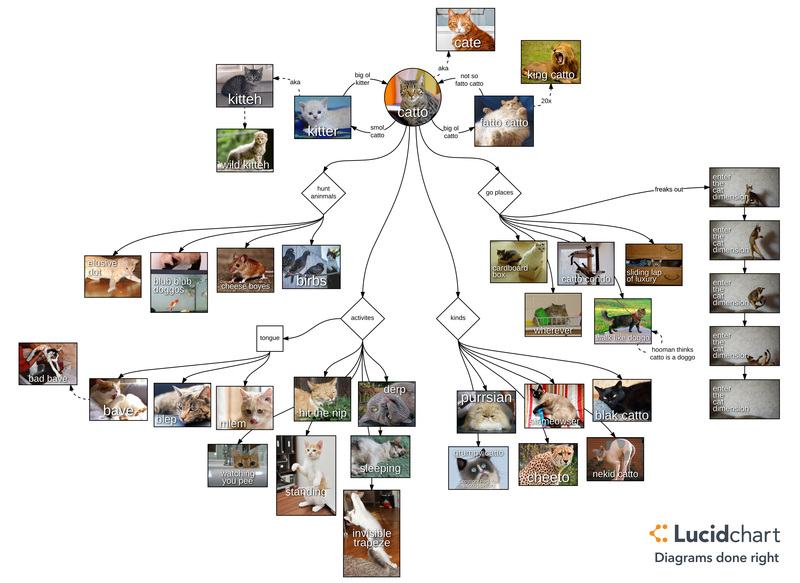 Diagram your cattos (and anything else) with Lucidchart. Start your free account today!